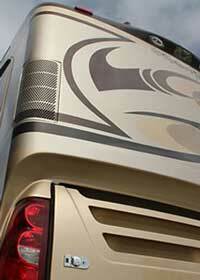 McBride's RV has one of the most prestigious collision repairs facilities in Southern California. We boast a full size enclosed paint booth, highly sensitive color matching equipment and techniques. We also developed new repair procedures that save time and money. McBride's RV is highly recommended by most of the large insurance companies like: National General (GMAC), Progressive, AAA, SafeCo, Foremost, State Farm, Liberty Mutual, GEICO, Mercury and many others. 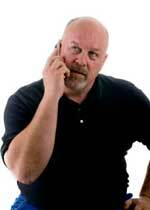 We have worked with all insurance companies and know their adjusters and inspectors by name. If there is damage to your RV and you need help navigating the claims and repair process, look no further. We can help by managing all aspects of the repair and settling the claim with your insurance carrier. McBride's RV maintains good relationships with all of the major insurance carriers for RVs. With this said, the claim process has been steamlined for you. The only action needed by you is to start the claim. We will then manage the rest of the process for you. 1-Only the policy holder or lien holder can start a claim. 3-You will have to make a recorded statement as to the event. 4-You will receive a claim number (make sure you note this). *Note: The difference of a chargeable collision claim and a comprehensive claim is the fault. Most collision claims involve you as a driver hitting something with your RV. Comprehensive claims are damages to your RV by something outside of your control. Will my insurance premium go up if I start a claim? Your insurance company can raise your premium if you have a chargeable collision claim against you. What is the difference between a chargeable collision claim and a comprehensive claim? Do I have to get 3 estimates before starting repairs? No. You can take your RV to any shop you like and get only one estimate. Your insurance carrier has the right to write their own estimate in order to ID damages and the value of those damages. Only you can authorize work to your RV, the insurance claim is there to pay for the damages incurred. You however, are responsible for the repairs and all charges that are incurred. We have good relationships with most insurance carriers. Listed below are only some of the insurance companies that we have worked with in the past. Also note, we have worked with Canadian Insurance as well.